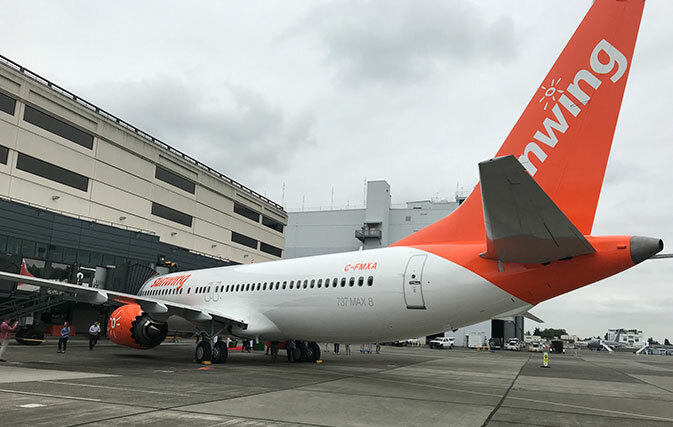 The Canadian carrier, Sunwing Airlines took delivery of the airlines first brand-new Boeing 737 MAX 8 aircraft last week at a celebration in Seattle. The aircraft is the first of four new Boeing 737 MAX 8 aircraft for Sunwing Airlines, which have been acquired on a lease agreement with Air Lease Corporation, arranged in late 2014. The deal will also see the carrier get of two further Boeing 737-800 aircraft. The second Boeing 737 MAX 8 aircraft will be delivered later this week, whilst the remaining two of the type should be arriving with the carrier during 2019. This newest 737 arrival brings the latest technology to the most popular jet aircraft of all time and will enable Sunwing to offer reliable, cost-effective and environmentally-conscious service – something that is paramount for the brand. A next-generation aircraft, the 737 MAX 8 is expected to reduce Sunwing’s carbon footprint even further. The MAX uses less fuel and reduces CO2 emissions by 20% compared to the older aircraft that it replaces. Flying from the Boeing head office in Seattle, Washington, the delivery flight was piloted by Ron Henry, one of Sunwing’s first pilots, flying Canadians to and from their holidays since the company’s inception, and First Officer, Jessalyn Teed, a recent graduate hired through Sunwing’s cadet program in partnership with the University of Waterloo. 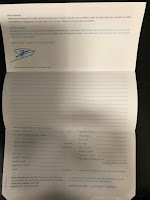 The flight carried executives from Sunwing and select media guests who were invited to experience the new aircraft’s aerodynamic design, elevated passenger comfort, mood lighting and sleek technology.